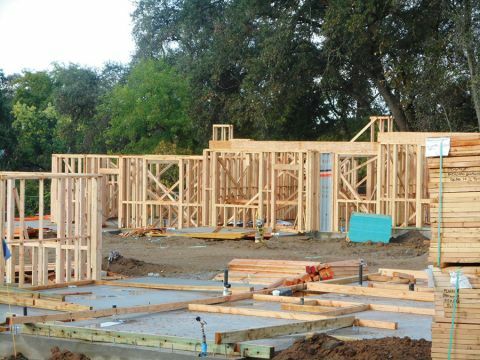 Fair Oaks, CA (MPG) - Construction is underway on the Fair Oaks EcoHousing project, located at 4025 New York Avenue. The mission of the project is to create a community-focused, environmentally friendly neighborhood right here in Fair Oaks. The community will integrate private homes into a cohesive village atmosphere with shared amenities and green spaces. Construction on the community began in December 2017. Marty Maskall, founding member of Fair Oaks EcoHousing, said the community focus is “smart growth and green design.” The project is transforming 3.7 acres of land (which originally had just two homes on it) into a sustainable neighborhood of 30 homes. In December 2013, Maskall had a contract, contingent on project approval, to purchase the property. The purchase closed in June 2015. And next year, in May or June of 2019, families will be moving into the community. Of the 30 homes, seven are still available for purchase. Maskall leads monthly introductory meetings and site tours for anyone interested in becoming a member of the EcoHousing community. The meeting includes a short video featuring the Nevada City Cohousing community, which is the inspiration for Fair Oaks EcoHousing. Both communities share the same architect and have a very similar design, with rows of private homes facing each other, large porches on the front and back of each home, a shared pool, a club house, and a side area for parking. Community members will own their own homes and be part of a homeowners association to fund the operating costs and maintain the shared spaces. Members will be able to participate in shared gardening, and prepare meals in the club house made from ingredients grown in the community gardens. Maskall said that prices for new homes in the Fair Oaks EcoHousing community are comparable to other new homes on the market that utilize green design and construction, ranging from approximately $360,000 up to $680,000. At a recent introductory meeting and site tour on October 13, attendees all shared similar motivations for considering membership: a sense of true community. Scott and Joyce Hedges explained that people are so busy these days that it’s difficult to create a sense of community. They are looking for a sense of belonging and a connection with others. Current members also attended the meeting to share their reasons for joining the community and to get a look at the progress on their homes. Both the members and prospective members share a strong desire to become part of a collaborative community where neighbors know each other and work together. For more information, visit FairOaksEcoHousing.org.